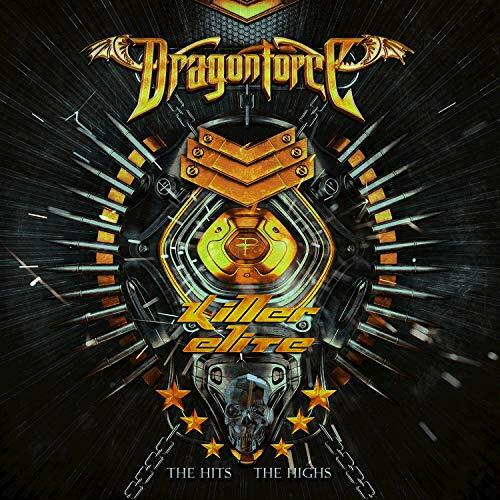 DragonForce, the Grammy-nominated power metallers, are poised to release a comprehensive career-spanning ‘Best Of’ – the first time the UK band have presented this kind of historical ‘chapter & verse’ collection. Titled ‘Killer Elite – The Hits, The Highs, The Vids’ release through Spinefarm Records, this 22-track set (two hours and 30 minutes of music, featuring both studio and live material, with promo clips added to the Deluxe set) fully showcases the ambition, variety and skill of the group’s musical output, now taking in six studio albums; elements of thrash, speed and power metal are spread across accelerated rockers and more measured, melodic offerings – from biggest hit, ‘Through The Fire And Flames’, a staple inclusion on several best-selling video games (i.e. ‘Guitar Hero’) and recently used as the basis of a US mockumentary featuring the band and Oculus Rift founder Palmer Luckey, through to ‘Dawn Over A New World’, a ballad harking back to the early years.